An internal motion sensor security system is the starting point for home security and provides protection of your property when you are not at home. It involves the installation of a number of motion sensor devices throughout the home to detect any unwanted internal movement and activate the alarm. When the detection devices are activated the siren and strobe activate and if the system is monitored the monitoring station is notified. The monitoring station determines which device or devices have been activated and can tell whether a break in has occurred and where it has happened. For your added peace of mind all of our home installations are supplied with pet sensitive detectors and quality 64 zone alarm panels so that your system can meet your basic requirements now and still allow for upgrading to a more sophisticated setup in the future without having to go back to square one. We’ve installed hundreds of DSC Alarm Systems in Perth and throughout WA over the last decade and stand by them as an essential component to any home security strategy. 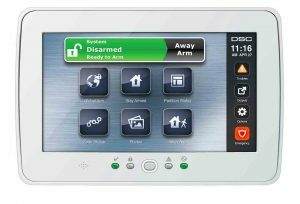 Further upgrades can be added to the system in the form of glass break and vibration detectors to create a Perimeter Alarm System and cover windows & doors, GPRS or Landline Alarm Monitoring to ensure any home break in or invasion is attended promptly & you have additional options such as smart-phone monitoring, system remotes and much more. 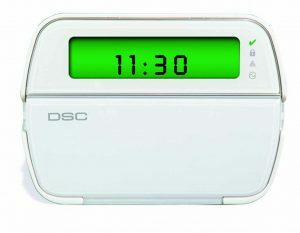 For renters or those moving soon you can also opt for a Wireless Alarm System with similar but portable components. 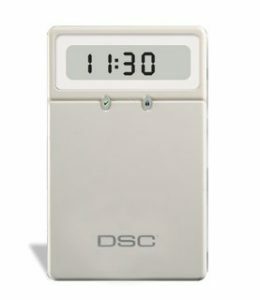 Our Standard 3 Detector DSC Home Security System’s start from just $3 per day on our No Interest Ever Payment Plans and are also available with very competitive upfront pricing. To talk-through your options and obtain an over the phone or on-site quote be sure to contact us or review our other home security options.